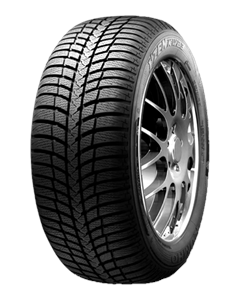 Three-dimensional sipes for excellent grip on snow and ice, while for excellent driving stability on dry and wet roads. The directional tread pattern, in conjunction with a new high dispersible silica tread compound for excellent handling characteristics on wet roads, low rolling resistance and low wear. The computer-optimized tread design provides excellent and safe driving down to the limit, the special arrangement of tread blocks ensures low noise and comfortable driving. 3-dimensional sipes for improved traction on snowy & icy roads. Special compound with new silica for improved ice traction. Optimised for performance at low temperatures.